John Green is a very common name in the young adult fiction world. 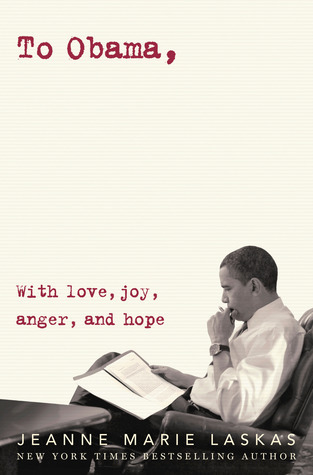 I felt a bit left behind because I had not read anything by him, yet. So when I picked up Looking for Alaska to read recently, I thought to myself.. I get it now. THIS is why his name is thrown around so much because he really IS that sensational of a writer. Though John Green is popular for not just his books, but his videos as well, it's his honesty and humor that really grabs you as a participant in his creative outlets. I felt all kinds of emotions after I finished reading Looking for Alaska. It's a story that goes beyond just words on a page, tugging at your inner soul. I laughed, I cried; I now look at toothpaste in a completely different way. It's the kind of story that sticks with you, urging you to come back to it time and time again. 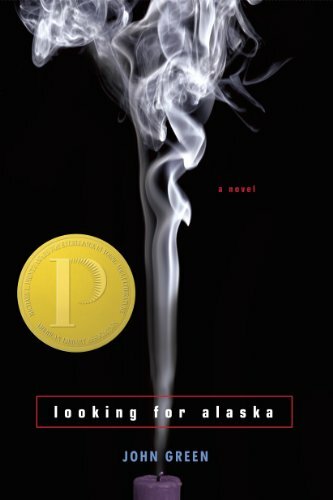 I know for me, personally, Looking for Alaska has left a strong impression on my love for young adult literature. The story is told through the eyes of Miles, or known as "Pudge", alongside the Colonel, & the beautiful Alaska Young. It's the cast of characters that made this story for me. The witty banter, and the need to not be conformed, sucked me in. John Green's ability to identify each character in their own unique way really shined in this novel. I felt connected to each one, for several different reasons. I appreciated this book because John Green handed some pretty heavy topics to us, but he did not execute them in a preachy way. The flow felt natural, yet packed a powerful punch exactly when it needed to. If you were like me and had not experienced John Green, I suggest starting with this book. It's an awesome way to introduce you to the literary world of this genius. 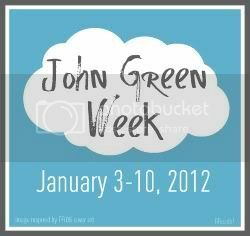 Please keep your eyes peeled through out the blogosphere as 50+ blogs will be participating in John Green Week. If you're a fan of his work & want to jump in on the action, please feel free to on your blog. There is never enough John Green love! I had an interesting experience with this book, in that I can easily see WHY so many people LOVE it, and I totally recognize the brilliance that is John Green, but I didn't connect with this one the way that I expected too. I liked it, but wasn't blown away by it. Will Greyson, Will Greyson is the only John Green I've read. I keep meaning to read this one, since everyone raves about it, but I just haven't yet. I should put it on my TBR challenge list and get to it! I still have never read a book by John Green. I guess I know what I'm doing with the rest of the money on my Barnes and Noble gift card...! I bought Looking for Alaska and Will Grayson, Will Grayson JUST B/C I heard about all these posts...thought it was a month though...not a week. OOPS! I'll get to them soon-ish. This is a great start, fo sho. Can you believe it was his debut? YEAH. Me either. I love how he brings the heavy topics without the preachiness, like you said. Very solid. The first time I read this book was in high school and it literally blew me away. I picked it up again in college for my Adolescent Lit class and it was an awesome read again. I am going to try and get my hands on a copy some time soon so I can re-read it. My first John Green book was "An Abundance of Katherines" (and it is still my favorite) but I didn't pick up "Looking For Alaska" until a couple of books later. It, like all of his works, just blow me away. And that big, shiny Printz Award medal gracing the cover is there for a reason:) It's been a while, but I can remember laughing out loud and simultaneously sobbing as I read it. That's the mark of a good book:) Great review! You should read Paper Towns! That one is my favorite, it's a lot lighter than LfA. I loved Tiny Cooper in Will Grayson! Hahaa... I *almost* forgot about the toothpaste. I smirked for days after reading that part :). I reviewed Paper Towns yesterday... I think that one is my favorite but I loved Looking for Alaska too. Looking for Alaska was my first John Green book too and I really loved it. I like that he writes about smart teens. He really gives his characters such great personalities. The toothpaste thing, or really the incident that prompted the toothpaste thing may be one of the funniest things I have read in a book ever. And also the most awkward! I loved it though because it fit the story perfectly! I'm not really an avid YA reader, but would take a peek at some John Green to see if i can get into it! Looking for Alaska was a thought-provoking read. Read it last year and I'm definitely due for a re-read. I bought and read Looking for Alaska especially for John Green week but I seem to be the only person ever who didn't love this. :( Maybe I'll try again. I read Will Grayson, Will Grayson as well and that was awesome! This one is my favorite. My signed copy has a prized place on my shelf. I've read this before and I want to read it again. I've been meaning to read this forever. Maybe I can pick it up this week. Looking forward to the rest of the week. I have not yet gotten around to reading any of his work which is silly because I know so many people that rave about him. I bought Paper Towns months ago and still havent cracked it open.